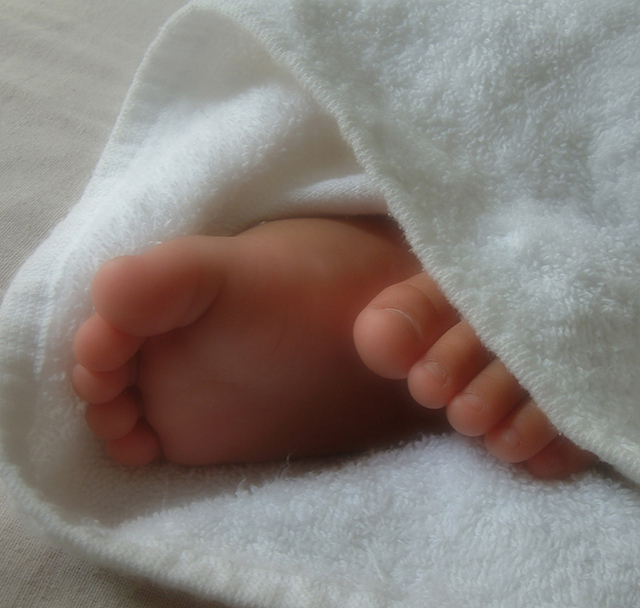 Baby Massage classes are offered by holistic therapist Lynsey Mounce at the Carrick Clinic. Lynsey has trained with The International Association of Infant Massage (IAIM) who are the largest and longest running worldwide association solely dedicated to infant massage. Classes run in 5 week blocks for babies aged 6 weeks – 12 months. The course will teach you how to massage your little one at home using the IAIM routine. Each week you learn a new part of the routine, gradually building up until the last week when you run through it from start to finish. We look at different strokes each week and learn which ones to use to help alleviate common complaints like wind, colic and constipation – or even to help a baby that just doesn’t want to sleep! Classes are very relaxed so parents can feel free to stop when needed to feed, change or even cuddle their little one and crying or having a nap is never a problem in baby massage class. If your little one is otherwise distracted we’ll make sure we repeat what we’ve learned so you don’t miss out. A bottle of cold pressed organic massage oil is supplied along with a folder with massage techniques for you to use. Blankets, cushions, baby yoga and play mats, toys and refreshments are all provided for the class and are included in the price. The course costs £45 for 5 weeks. Places are limited to ensure an enjoyable class for all. To book your place, please contact us.